It’s true that, so far, all the money has failed to buy Tibetan loyalty. Beijing won’t deal with the Dalai Lama, even though Tibetans revere him, nor will it let his monastic followers build any power or voice any nationalist sympathy. Instead, the government is offering Tibetans the same bargain it has offered the rest of the country: in exchange for an astronomical rise in living standards, the government requires citizens to relinquish the right to free worship and free speech. The Chinese government has kept its end of the deal. Even if Tibetan residents never signed the contract, they have benefited from its enforcement—a fact Obama might keep in mind when he meets the Dalai Lama. 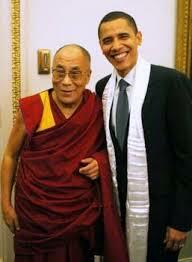 Newsweek’s report has now—just one day after Obama met with the Dalai Lama—been translated by Cankao Xiaoxi (参 考消息). Cankao Xiaoxi is a respected and influential Chinese-language digest of the world press with a long history, and in many cities across China it sells out every day before noon. As noted in my past pieces, virtually no English is used and little or no content is added. But references deemed unbecoming to China’s image are often deleted or reshaped. What’s more convincing to the masses than propaganda out of Beijing? Discreetly massaged copy from the New York Times, evidently. “The White-Haired Girl” is back: But can she compete with the likes of Taylor Swift? Back in October 2014 when Xi Jinping delivered his closed-door speech to a gathering of the nation’s artists and scribes in Beijing — essentially a souped-up, 21st-century rendition of Mao Zedong’s infamous pronouncements at the 1942 Yan’an Forum on Literature and Art — many wondered just what it signified. It took one year, but the speech was recently released to the public in full (see Xi Jinping’s ‘Little Red Book’ for Art Workers of the Nation). On November 10, Chris Buckley at the New York Times ran a piece on the revival of a Culture Revolutionary model opera, ‘White-Haired Girl,’ Opera Created Under Mao, Returns to Stage. Apparently it is time for an updated version of this Mao-era classic too, and you might be surprised to learn that Peng Liyuan (彭丽媛), who just happens to be Xi Jinping’s wife, is serving as its artistic director. For some Chinese, the entanglement of a party leader and his spouse in determining artistic values through a “model opera” is likely to bring disquieting echoes of the past. One other thing worthy of mention here is how several quote marks in the original have been deleted in Chinese. I’ve been reading Cankao Xiaoxi for several years, and I can’t recall when I last saw that sort of deletion; quoted comments are often deleted outright, but rendering direct speech indirectly — albeit commonplace in China’s media — is not generally done in this publication. So I can only assume that the content of this article is considered rather sensitive. As usual in my pieces on Cankao Xiaoxi, I run the original English copy immediately below. For the benefit of English speakers who cannot read the Chinese version, I cross out the specific words that were deleted when the article was translated, and indicate any added copy (normally just for readability’s sake) by putting it [in brackets]. This way one can see just how Cankao’s editors “re-package” foreign copy for domestic consumption. In the 1950s, many of China’s policies towards its ethnic minorities were inspired by those of the Soviet Union. In the northeast near the Sino-Russian border, for instance, the Oroqen (鄂伦春) found their animistic faith banned and their shamans forced to burn their sacred attire and renounce their “spirit dances” (Last Shaman). Many peoples like the Evenki (鄂温克) were forced to hand ownership of their livestock to the state and form politically correct “people’s communes” or the like. Never mind that the reindeer-herding Evenki, who speak a language related to Manchu and resided deep within the Greater Khingan mountains where they had little contact with the Han, had been living a collective lifestyle for centuries without any guidance from Marxist cadres, Russian or Chinese. Things got even uglier for many minority ethnicities during the Cultural Revolution, when many customs of minority groups were seen as backward, even dangerous superstition that needed to be annihilated. Inconveniently, these policies and actions do not fit the current narrative of the government — that relations among all 56 officially recognized peoples of the PRC have been and are quite harmonious, thank you — and they are therefore rarely cited or discussed in Chinese media. When they occur in news items written in the West and translated for consumption in China, they must be judiciously packaged. LUGU LAKE, China — A young man clad in a white shirt, black pants and red belt suddenly scrambled up the side of a log house and slid feet first into a second-story latticed window. “This is how Mosuo men would climb into the `flower room’ of the women,” Ke Mu explained to visitors [just] as the triumphant swain [gleeful suitor] stuck his head out the window of the flower room, or private bedroom, and waved his hat. It was morning in the lakeside village of Luoshui here in southwestern China. On a narrow side street, dusty from hotel construction nearby, a group of young [Chinese] workers, including Ke, 18, was preparing for another day of cultural pageantry at the Mosuo Folk Museum. Their task [job] is to showcase the traditions of the Mosuo, a minority ethnic group said to be the country’s last matrilineal society, where children take their mothers’ surnames and daughters are preferred to sons. A fascination with such traditions has led to a booming [prosperous] tourism industry in this once-isolated region. Lured by the promise of spectacular natural beauty and exotic [unique] cultural experiences, hundreds of thousands [large bevies] of visitors , mostly Chinese, are making the journey to Lugu Lake , nestled on a plateau in the mountains between Yunnan and Sichuan provinces. Those numbers are expected to rise with the opening of a local airport this month and later an expressway connecting Lugu Lake to Chengdu, the capital of Sichuan. HONG KONG — Karla Cabrera, a 29-year-old lawyer in Mexico City, was excited when she came across “Introduction to Mao Zedong Thought,” an online course about the Chinese revolutionary leader. She has a passion for Chinese history, and she hoped the class would shed light on the brutal political battles that took place under Mao’s rule. But when Ms. Cabrera began watching the lectures on edX, a popular online education platform owned and administered by Harvard and the Massachusetts Institute of Technology, she was disappointed. As China seeks to extend its global clout [influence], it has gone to great lengths [made an effort] in recent years to promote its culture and values abroad, building vast media operations overseas and opening hundreds of language and cultural outposts [centers]. Translators in China are not neutral message conveyors but active censor-oriented rewriting hacks. Their job requires the sensitivity of knowing the parameter. Foreign news is not used as a means of national self-reflection, but an adjunct to domestic propaganda. Veteran translators are infuriated by the accusation that they are accomplices to an authoritarian regime. They point out that the core issue is not how to translate, but how to translate and get published. Publish or perish is the rub. How the translators hew to the adaptation and rewriting is often an indicator of where the publication stands in the Communist Party-condoned ideological spectrum. Reference News (Cankao Xiaoxi) was founded in 1931 as an internal publication to provide the party leadership with an idea of how the world perceived China. When it turned into a mass circulation paper in 1985, translators were given the mandate of selecting passages from world press and adapting a propaganda agenda. Boasting a daily circulation of 3 million, Reference News is influential and profitable. Global Times, a tabloid subsidiary of the People’s Daily, routinely mangles foreign news articles to bolster its nationalistic stance. But when ThePaper.cn was launched this summer, hopes ran high that it would set itself apart to attract weary online readers. There is a sense of betrayal that it commits the same sin of translating only the positive while blocking passages critical of China. I’ve been following Reference News (参考消息) now for five years or so. To see how it repackages foreign news reports to make China look better — and feel better about itself — please visit China Media. But when can I get my uncensored Chinese edition? In what a publicist would judge a savvy approach to pre-launch marketing of one’s book, Evan Osnos recently wrote a much-discussed NY Times Op-ed in which he explained why he won’t be releasing his new Age of Ambition: Chasing Fortune, Truth and Faith in the New China in Chinese in the People’s Republic any time soon. In her June 20 piece about the brouhaha, Slippery Slope, Dinah Gardner cites two statistics several times: 10% and 25%. The 10% is a reference to the amount of text that Ezra Vogel claims was deleted from his Deng Xiaoping and the Transformation of China when published in Chinese. And 25% is an estimate of what one Chinese publishing agent proposed cutting from Osnos’ Age of Ambition. Canada’s Globe and Mail recently ran a piece on the impact of modernity and tourism on the Mosuo (摩梭族), a matriarchal tribe that resides around Yunnan’s Luguhu Lake (泸沽湖). In China, a Matriarchy under Threat has now been translated, edited and published as 《云南摩梭人遭遇现代化挑战》in the August 17, 2011 edition of Cankao Xiaoxi (参考消息). As usual in my pieces on Cankao Xiaoxi, I run the original English copy immediately below. For the benefit of English speakers who cannot read the Chinese version published and distributed throughout China, I cross out the English words that were deleted when the article was translated into Chinese, and indicate any added copy (normally just for readability’s sake) by putting it [in brackets]. This way one can better see how Cankao’s editors “package” foreign copy for domestic consumption. Yongding, China—The gargantuan buildings are so iconic that they appear on a Chinese stamp. The most famous have distinctive round shapes, appearing from a distance like flying saucers that have plopped down in the middle of farm fields. Some were reportedly mistaken for missile silos by American officials poring over satellite images. But the thousands of “earthern buildings” here, built by the ethnic Hakka and Minnan people of rural Fujian Province, are the ultimate architectural expression of clan existence in China. For centuries, each building, called a tulou in Mandarin Chinese, would house an entire clan, virtually a village. Everyone living inside would have the same surname, except for those who married into the clan. The tulou usually tower four floors and have up to hundreds of rooms that open out onto a vast central courtyard, like the Colosseum. The outer walls, made of rammed earth, protected against bandits. The forms vary. Many are square, resembling medieval keeps. With stockpiles of food, people could live for months without setting foot outside the tulou. But as the clan traditions of China dwindle today, more and more people are moving out of the tulou to live in modern apartments with conveniences absent from the earthen buildings—indoor toilets, for example. Also of interest is a book by Huang Hanmin (黄汉民) published only in Chinese (I believe), 《福建土楼》(Fújiàn tǔ lóu). You might think that China’s media minders would be fairly happy with this report, but when it was translated and published in Cankao Xiaoxi (参考消息) on March 24 (美报称福建土楼对居民失去吸引力), large chunks of it were deleted. Cankao Xiaoxi is a respected and influential Chinese-language digest of the world press with a long history, and in many cities across China it sells out every day before noon. Virtually no English is used and little or no content is added. But references deemed unbecoming to China’s image are often “airbrushed.” For earlier coverage of how Cankao Xiaoxi repackages foreign newspaper reportage for domestic eyeballs, check out But where are Pederasty, Passion and the Dalai Lama? or Just Say “No” to Orgasms.